MTA has developed a display that can be customized according to the specific needs of the off-highway vehicle it is installed in. 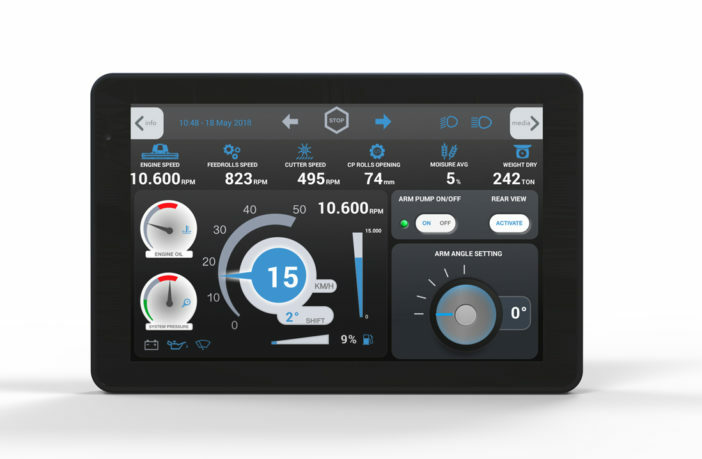 Presented at the EIMA 2018 show last month, Leonardo is an off-the-shelf display that can be used either as a standalone device or can be incorporated into an electronic system that includes other displays or dashboards. 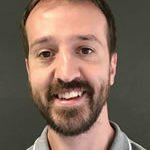 Relying on Android Studio software, MTA has produced a proprietary plug-in called Speedy Creator that makes specific functions and graphics of the agricultural environment available, enabling quick and simple development applications. With a 12.1in TFT color touchscreen offering a resolution of 1280×800 pixels, Leonardo has been designed for off-highway applications where it is necessary to simultaneously display several different parameters related to the machine and the equipment connected to it. The multitouch screen (up to 10 points) with touch controller responds reliably to operator gestures – even when wearing gloves. In addition to the high resolution, the display has a high luminous intensity for good visibility. This is enhanced by an optical bonding treatment that eliminates air between the display and the screen, to minimize glare, and the use of anti-glare and anti-fingerprint glass. The display offers both wi-fi and Bluetooth interfaces: The former allows the display to connect to a wi-fi hotspot, while Bluetooth (available from 2020) can be used for direct connection to a smartphone. It also includes a speaker that, thanks to a microphone input and an audio output connected to a possible external audio amplifier, can also be used in hands-free mode. Interested in cab design? 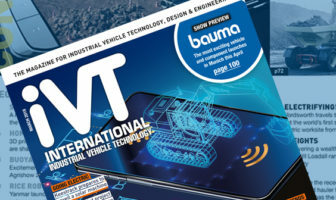 iVT Expo, which takes place in Cologne, Germany, on February 13-14, 2019, will include the Cab Design & Technology Conference.